The Philippines is announcing precautions for airlines and ships to avoid falling debris from North Korea's expected rocket launch, due in the next few days. 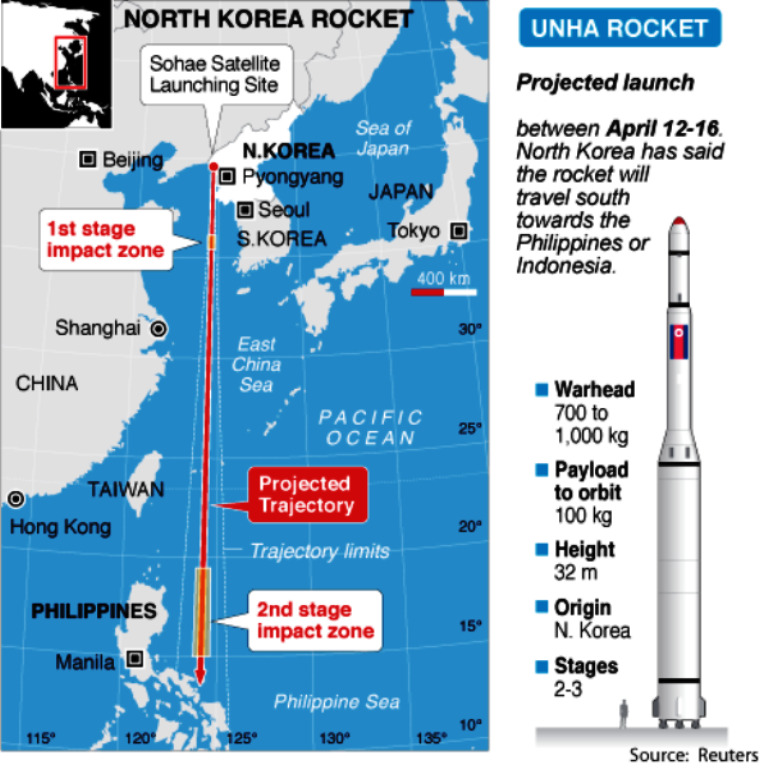 North Korean officials say the first stage will fall into the sea about 160 kilometers from the Philippines, but past North Korean launches have been notoriously inaccurate. The Civil Aviation Authority of the Philippines is rerouting some flights in anticipation of the launch that North Korea says will put a weather satellite in orbit. 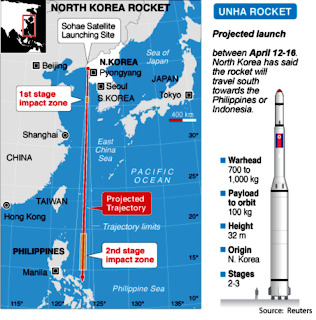 Defense leaders from several governments estimate that debris from the three-stage launch could fall to earth along the rocket's southern trajectory. Aviation Authority Spokeswoman Joy Songsong says planes will not be allowed to pass through three lanes in the skies northeast of the country from 5:00 a.m. to 1:00 p.m. from April 12 - 16. "Part of the approximately 20 flights that will be affected daily would be international flights using the Philippine airways to get to their destinations," Songsong said. She says the aviation office asked the Philippines' two main carriers and airlines from Japan, Korea and other countries to make the adjustments. She says rerouting will add 10 minutes to flights connecting Manila with the United States, Japan and South Korea and affect other routes to and from some Southeast Asian destinations. 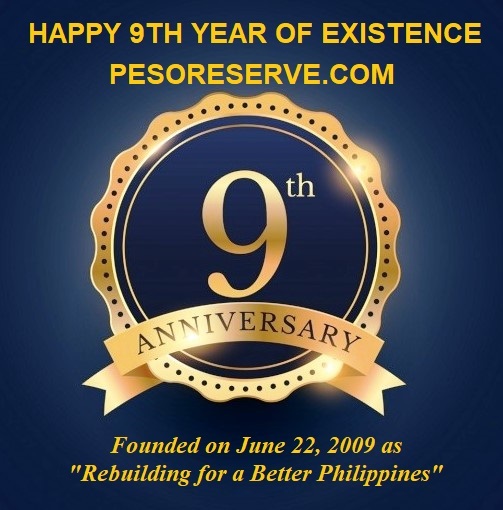 Philippine territory is very near the projected drop of the third phase of the launch. This prompted the Office of Civil Defense to order the no-passing zone, which includes the air and waters off the country's northeast coast. Civil Defense Administrator Benito Ramos says North Korea has provided the expected coordinates of the rocket's path and authorities are using them in their alerts. "We make sure that no fisherman, no aircraft, no ship will be crossing in that area so that we expect zero casualties in the event that there will be fallout," Ramos said. Defense officials have expressed concern the launch may follow an unexpected trajectory and the rocket could come apart, falling to earth in unplanned locations. Ramos says a piece falling with a two degree or even just one degree difference from its projected coordinates would put the entire northern island of Luzon in harm's way. He says the Philippines would not be in a position to shoot down any missile, but he is confident the country will have help. "I feel reassured because of the capabilities of these countries like your country - U.S., we have the U.S. military base in Okinawa. We have also Japan and South Korea," Ramos said. Philippine President Benigno Aquino's spokesman said in a news briefing Tuesday that the country is preparing for the worst, but hoping for the best.